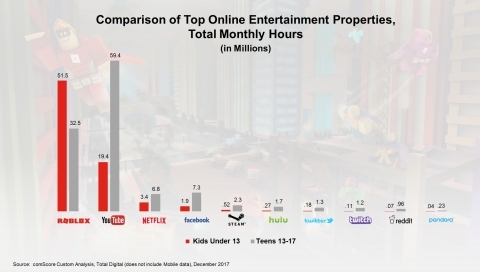 SAN MATEO, Calif.--(BUSINESS WIRE)--comScore, in partnership with Roblox, released data from December 2017 that measured how kids and teens spent time online. 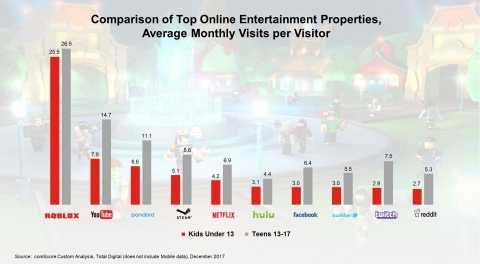 The data shows that Roblox has emerged as a top online entertainment platform for both kids and teens. In addition, the company announced the hiring of Mike Guthrie as Chief Financial Officer.